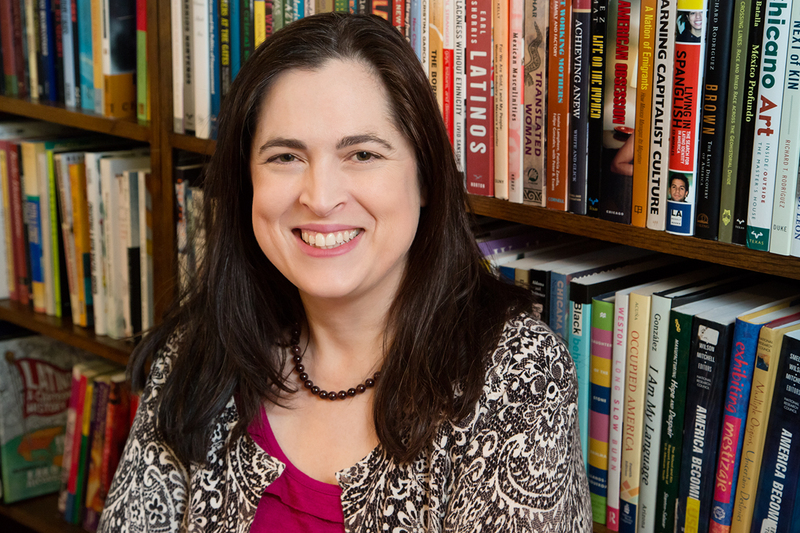 Latina/Latino studies professor Julie Dowling has done extensive research on the census, especially on race and ethnicity questions. The Commerce Department has announced that the 2020 U.S. census will include a question on citizenship, which has raised numerous objections. 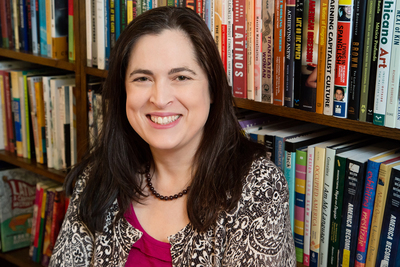 Julie Dowling is a U. of I. Latina/Latino studies professor who wrote about how people respond to race and ethnicity questions on the census in her 2014 book “Mexican Americans and the Question of Race.” She’s also in her fourth year on the U.S. Census Bureau’s National Advisory Committee on Racial, Ethnic and Other Populations. She spoke about the citizenship question and the census with News Bureau social sciences editor Craig Chamberlain. Critics claim the addition of this question might produce a serious undercount in the upcoming census. What’s the research supporting this? We already have a well-documented undercount of certain population groups, including racial and ethnic minorities, immigrants, persons without a stable residence or in multiple-family homes, and young children. Given what we know about who often gets missed by the census count, the citizenship question is likely to increase the undercount, particularly of groups with higher percentages of immigrants. Families are often composed of members who may have a range of immigration statuses. A husband, wife, grandparent or uncle living in the home may be undocumented, while all other residents of that household are citizens. What we will likely see with the addition of this question is families forgoing the census altogether for fear of reporting that one member who is not a citizen, or leaving off family members who are undocumented. For example, we know that 400,000 Latino children under the age of 5 were not counted in the 2010 census. With the addition of a citizenship question, I expect this number will increase. With noncitizens being fearful of filling out the form, we will miss not only these immigrants, but their U.S.-born citizen children as well. This could have dramatic effects on counting of Latinos, Asian-Americans and other communities with a high proportion of immigrants, with dire consequences for states like California, Texas, New York and Illinois. Another concern is that the citizenship question will be added with no time to test its potential effects. What has your experience with the Census Bureau shown you about the importance of such testing? Testing a question is absolutely critical. For example, the proposed new combined racial/ethnic question was based on over a decade’s research. A number of factors were tested, including the placement and construction of questions about race and ethnicity (separate versus combined format), question instructions, the use of check boxes versus write-in lines to state ethnic origins, etc. Testing can tell us how to optimize the data we get and ensure the question does not contribute to undercounting certain populations. The argument presented in favor of the use of the citizenship question notes the use of such a question on the 2000 census long form, sent to one in six households, and the current American Community Survey, a survey conducted by the Census Bureau on demographic and housing characteristics. However, the citizenship question has not been tested on the current census form and, most importantly, it has not been tested in today’s political climate. Placing a question on the census with no current testing on how it may be received represents a very risky scenario – with potentially disastrous consequences for ensuring an accurate count in 2020. You note that this comes on the heels of another decision, or nondecision, that negates years of work to change the way the census form deals with questions on ethnicity and race. What was the change and why was it sought? And what does this decision mean for the census going forward? The census form has two questions regarding race and ethnicity: a Latino/Hispanic origin question and a race question. The race question has response options for white, black, American Indian or Alaska Native, various Asian national origins and a “some other race” option. There is no “Latino/Hispanic” or “Middle Eastern and North African” (MENA) racial option. A number of data quality issues have resulted from the lack of racial options for these groups, as many Latinos, for example, either do not answer the race question, select “other,” or identify as “white” when this does not capture their identity. Over the last decade, the Census Bureau has been testing better ways to ask the race and ethnic origin questions, and a proposal to change the format was submitted to the Office of Management and Budget last year. The proposed new format would combine race and Latino/Hispanic origin into one question where the respondent can “check all that apply.” This new format included both a Latino/Hispanic and MENA option and allowed whites and blacks to indicate their ethnic origins – for example, Irish, Italian, African-American, Nigerian. The OMB did not act on the proposed new question format, however, and thus the Census Bureau will not be allowed to use the combined Latino/Hispanic-and-race question or add the MENA option in the 2020 census – though whites and blacks will be able to indicate ethnic origins. This was a devastating blow to the census, as testing has shown the new format better captured people’s identities, made the question easier to answer, and resulted in better quality data for these groups. Going forward in 2020, the census will have to use the old separate questions format that many find frustrating, confusing and inaccurate in reflecting our country’s diversity. Why is the census so important? And will we be ready for 2020? The census is absolutely critical for political representation and resource allocation. And these recent decisions threaten to undermine the Census Bureau’s efforts to get a full and accurate count. The 2020 census could alter our political landscape for decades to come. I cannot stress enough how important it is for the future of this country. The bureau is certainly ready, but will all their work and efforts be subverted by budget cuts and the addition of this citizenship question? That is my concern right now. Editor’s note: To reach Julie Dowling, call 217-265-5502; email dowlingj@illinois.edu.